With a solid history of operations under its belt, Paysafe Group stands today among the best payment processing companies in the world. With this in mind, we will take a look at one of their prime services – Paysafecard. Out of the many different payment solutions supported by online casinos Paysafecard has risen to be the dominant prepaid deposit method. This service is owned by Paysafe Group, a company based in the Isle of Mann. Paysafe Group was founded more than two decades ago, back in 1996, and since then the company has had a major presence in the online payment solutions market. In addition to Paysafecard, it is also the parent company of two of the most-used eWallets in the world – Skrill and Neteller. In this article, we will discuss all advantages, disadvantages, and potential problems that may arise when using Paysafecard to deposit to your favourite roulette casinos. Paysafecard is one of the most widely available and reliable ways for you to fund your casino balance. This payment service is available in many countries across the globe and chances are you can also benefit from it. Paysafecard is available in Belgium, Bulgaria, the Czech Republic, Denmark, Germany, the Republic of Ireland, Greece, Spain, France, Georgia, Croatia, Italy, Cyprus, Latvia, Lithuania, Luxemburg, Hungary, Malta, the Netherlands, Norway, Austria, Poland, Portugal, Romania, Switzerland, Slovenia, Slovakia, Sweden, Finland, Turkey, the United Kingdom, Argentina, Brazil, Canada, Mexico, Peru, the United States of America, Uruguay, Kuwait, Saudi Arabia, United Arab Emirates, Australia, New Zealand, and Egypt. One of the best aspects of Paysafecard is that you can get a voucher at many different retail locations. These are usually sold in supermarkets, gas stations, various kiosks, newspaper stands and others. This makes the service very accessible and anyone can do it without any hassle. Prepaid cards usually come in several denominations, more specifically £5, £10, £25, £50, and £100. There are no fees for loading a prepaid voucher and thus, you will be able to deposit the same amount to your casino balance that you gave at the retail location. The cards come in the form of a receipt, which features 16-digit PIN code that you will have to enter whenever you wish to spend money. The process is completely straightforward and no one should experience any issues doing it. One of the best perks of using Paysafecard is the anonymity associated with the service. Since the vouchers are bought with cash money, you will not be required to submit any information about yourself. The same is true when you deposit the money to your casino balance. As a result, your banking and credit card details will remain completely secure and out of sight. This is the perfect solution for security conscious players and those like to keep such details private. Moreover, Paysafecard makes for an excellent option for players on a budget or those with poor impulse control, the so-called problem gamblers. As most prepaid cards are, Paysafecard vouchers cannot be reloaded and once you use all the money, all you can do is buy a new one. This could help people stick to a particular budget, as they would be unable to meet the cost of their deposit. Unlike credit cards, there is a limited amount of money that you can spend when using Paysafecard and since you have to physically go to a retail location to buy a new voucher, this inconvenience alone may be enough to dissuade people from gambling too much. 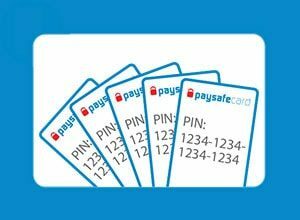 Having covered the benefits of using Paysafecard, we have to look at the other side of the coin and examine what are the negative aspects of this service. A major one is the inability to withdraw your winnings using the same method. Paysafecard is a prepaid voucher, not an eWallet or a credit card. As such, you cannot add money to your existing balance. This might present a real issue for you if you do not have another payment solution ready. This is the biggest aspect that detracts people from using Paysafecard. Something else that we also have to take into consideration is the fact that every time that we wish to load money on a voucher you would have to go to a retail location and purchase a new one. This could be highly inconvenient for those who do not live within walking distance to a store that sells them. Making the trip every time you wish to reload could be tiring and even annoying to some extent. While it does help those with bad impulse control and problem gamblers limit their gaming sessions, normal players will be inconvenienced by this and are unlikely to use this payment method in the future. Additionally, a single Paysafecard voucher can only hold up £100 at a time, meaning that high rollers will have to buy multiple prepaid cards at a time if they wish to deposit more than that limit. The service does allow you to combine up to 10 different vouchers when making a transaction, but that only amounts to £1.000, which may still not be satisfactory for some players. Then we also have to take into consideration the fact that it is impossible to withdraw your winnings. This means that those who play for higher sums than the average player will have to resort to using another payment service, such as Skrill or Neteller. While Paysafecard may be a fully satisfactory payment method for casual players, the service may prove to be lacking for more seasoned veterans. The low deposit limits and the inability to withdraw winnings makes Paysafecard less than ideal for high rollers and the like. Using Paysafecard at online casinos is quite simplistic. In fact, it might be the easiest payment method out there. When you log in to your casino account, simply go to the cashier page and find the prepaid option under the deposit methods. From there select ‘Paysafecard’ and enter the sum that you wish to deposit. You will have to submit the 16-digit PIN code located on the voucher in order to complete the transaction. The whole process takes less than a minute and you can immediately use the funds to start placing bets on your favourite roulette game since the transfer is made immediately. This is one of the easiest and most hassle-free ways to play at online casinos, as the service could be used by just about anyone. There is no setup time or identity verification that you need to sort out in advance. Typically, using Paysafecard is completely free on the user’s end of things. There is no cost to funding a card, as we have mentioned above, nor are there any fees for spending the money. The only time when you will be charged by the company is when your card has been inactive for more than 12 months at a time, which rarely happens. In this case, you will have to bear the cost or make a small transaction. Additionally, you have the option of withdrawing your funds from the voucher, in which case you will have to pay a fee, which amounts to around £7.50. When you deposit to online casinos, however, there is always the possibility that there may be transaction fees. For the most part, casinos do not charge you when you make a deposit and take on the cost of the transaction themselves. However, there is a decent number of them that take a different route. At some websites, you may notice that there is a commission charged for every transaction, which usually amounts to 2% to 5% of the whole sum. These cases are rare, but they do exist. If you are playing at such a casino, you could look into the VIP programs offered to players. VIP members often get to enjoy higher deposit limits and costless transactions, which is always in the player’s favour. A major aspect of making transactions online is the security of your personal and banking information. As far as Paysafecard is concerned, this service does not require you to submit either. Deposits are made with full anonymity since you do not have to enter any data about yourself or your personal finances. This is something highly praised by gamblers everywhere, especially those who are concerned about their information being leaked online. Of course, you do not have to rely on the payment service alone to safeguard your information. Online gambling websites are legally required to be able to store and manage personal data in a secure manner. There are many different safety systems in place to prevent any sort of data leaks, the most popular among them being encryption systems. Most online casinos used 128- or 256-bit SSL (Secure Socket Layer) encoding technology in order to ensure user privacy. These systems encrypt any and all data that goes through the casino’s system making it completely unreadable for any unauthorised party. Even, in the event, that some manage to get a hold of any kind of information, it will be in the form of random strings of text. This type of security system can only be bypassed by two different methods, by having the key to the encryption or by ‘brute force’. Since no website would willingly expose their customer base’ private information by supplying the wrongdoers with the key to the encryption, there is nothing to worry about on this end. As far as brute force is concerned, this method is highly impractical. With modern day technology, it would take several decades on average to break a 128-bit cypher, let alone a 256-bit one. This makes the whole endeavour pointless for hackers so they tend to stay away from online casinos. As a result, any personal information that you submit will be completely safe in the hands of the online casino and you can play roulette in peace. In the last few years, mobile devices have become highly popular with the general public and with every new generation, they become more capable of producing high-quality graphics and smooth animations. As a result, there is now a large part of the gambling community that prefers to conduct their gaming sessions on their mobile device, be they Android or iOS smartphones or tablets. Since this is an entirely different platform, some players may not be fully comfortable with using them. For such users, we would like to confirm that it is entirely possible to make your deposits using Paysafecard on smartphones or tablets. The whole process is exactly the same, with you going to the cashier page and selecting this payment method. You will still have to enter the 16-digit PIN and the sum that you wish to deposit. There is practically no difference between doing this on a desktop computer and a smartphone. The user interface on mobile devices is adapted to handle interactions on a different type of screen and navigating the different menus is no hassle, at all. For those not yet familiar enough with Paysafecard, we have compiled a list of some of the most asked questions by users and provided extensive and complete answers to them. While you may not find every possible solution below, you will still get a good idea of how to better use the service. How can I acquire a Paysafecard voucher? 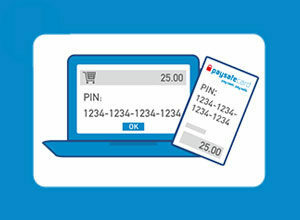 Paysafecard is available at multiple different retail locations in a wide variety of countries. We cannot list every single retail location here, for obvious reasons, but if you live in a major city you will absolutely have this service at your disposal. Moreover, on the Paysafecard website, you will be able to find a map which lists all of the locations where the vouchers are available, as well as, set it so that it shows where the closest one is. Just for clarification, you do need to be over the age of 18 in order to purchase a Paysafecard voucher, which also incidentally happens to be the legal gambling age in many jurisdictions. Is it possible to get back the money I loaded on the voucher? For those who would like to recoup the sum that they loaded onto their Paysafecard prepaid card, there is the possibility to receive that money back. In order to request a refund, you will have to go on the Paysafecard website and submit the following information: your name, banking information, including the bank’s name and your IBAN number, and the PIN code listed on the prepaid card. The company may also ask you for a government-issued ID, in order to verify that it is really you who is requesting the refund. 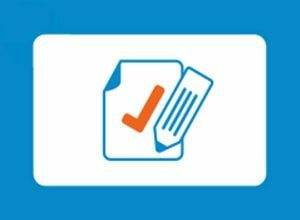 Your request will be processed within a few working days and you will have to pay a small fee for the refund, which varies from country to country. Can someone else use my Paysafecard PIN for fraudulent transactions? Strictly speaking, this is generally impossible unless it is you who provided them with the PIN. The probability of this happening is very low, but in case that it does occur, do not hesitate to contact Paysafecard customer support, who will handle the issue for you. If someone has learned your PIN number there are several actions that you can take to prevent them from using your money. One would be to immediately spend the entire balance, which might not be the perfect solution. Alternatively, you can always use the Paysafecard mobile application or website to freeze your card’s balance and make sure that no one else uses the money other than you. I deposited to an online casino by accident. Can I receive my money back? Payments made via Paysafecard are permanent and cannot be refunded to your voucher. That being said, there are other steps that you can take to get your money back. Provided that you have not gambled all of it away, you can always request a withdrawal using a different payment service. Generally, all online casino support some form of bank transfer and it will take several days for the transaction to clear. What currencies are available for Paysafecard? The Paysafecard service is available in dozens of countries and it, generally, supports each of those state’s local currency. While we cannot list every single currency here, we can tell you with certainty that Paysafecard supports the major international currencies, such as the United States Dollar, the British Pound Sterling, the Canadian Dollar, the Euro, the Swiss Franc and many others. If Paysafecard is available in your country, chances are that it also supports the local currency. My PIN has been stolen. What can be done? Unfortunately, in this case, there is nothing to be done on the company’s side of things. As part of their policy, Paysafecard state that the user is wholly responsible for the vouchers once they are purchased and the company will not refund or reimburse anyone for stolen or lost keys. Therefore, you must handle any Paysafecard vouchers with extreme care and make sure that you do not misplace them. Overall, Paysafecard is one of the best ways for users to deposit funds into their online casino balances. Players get to benefit from the easy way to move money and full anonymity. The fact that you do not have to supply any personal or banking data to anyone is a perk that often goes unappreciated. Additionally, transactions made via Paysafecard take place instantly, meaning that there will be no downtime from when you make the deposit and when you start playing. Of course, purchasing a Paysafecard voucher does come with some responsibilities on your part, such as keeping it safe and not losing it. The fact that you cannot request a withdrawal, however, may dissuade some players from using the service. It mostly comes down to personal preference and you alone have to weigh the advantages and disadvantages when it comes to using Paysafecard.